When it comes to gold the main focus seems to be upon its value as an asset but there is another important factor about gold worth considering and that is its purchasing power. People usually buy gold to protect their assets. 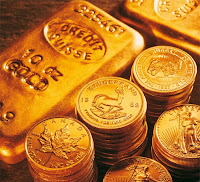 Converting currency into gold means that you can keep your asset value, instead of watching it erode away with inflation. The current desperate attempts to handle the financial crisis of too much debt by printing more money to reduce the value of each dollar and so the debt does nothing for the asset value of currency. A dollar is worth next to nothing today compared to its value say 20 years ago. That does not matter some might say as ones income rises to match but if one investigates the true value of the dollars purchasing power 20 years ago compared to today it can be seen that it takes more dollars to buy the same goods and services as it did 10 or 20 years ago far in excess of the amount of dollars to purchase those same items then. An example is a good quality gentleman’s suit. To buy such a suit 20 years ago would take perhaps the average weekly salary of a worker. Nowadays it might take up to two weeks salary to buy that same suit. A definite deterioration on the value of the dollar and on the living standard of an average American. Meanwhile back at the gold ranch no such deterioration has occurred. That same gentleman’s suit 20 years ago could be purchased for one ounce of pure gold. This has not change one iota when it comes to the value of gold. These days one ounce of gold will still buy the same gentleman’s suit now as it did 20 years ago. The same goes proportionately for bread, eggs, milk, water, gas and the myriads of other items we buy that makes life so comfortable. Each year the cost of living index rises at least 3 and sometimes more percent. Meanwhile interest rates are falling and the two produce a negative gain (if there is such a thing) and this means it takes more dollars to buy the same goods and services as you purchased the year before. In other words, the purchasing power of currency deteriorates while gold’s purchasing power does not. Gold keeps its value come what may. Gold’s purchasing power, then, gives us another good and sound reason to buy gold, not only to preserve our assets, but also to maintain our spending power for the necessities of life.